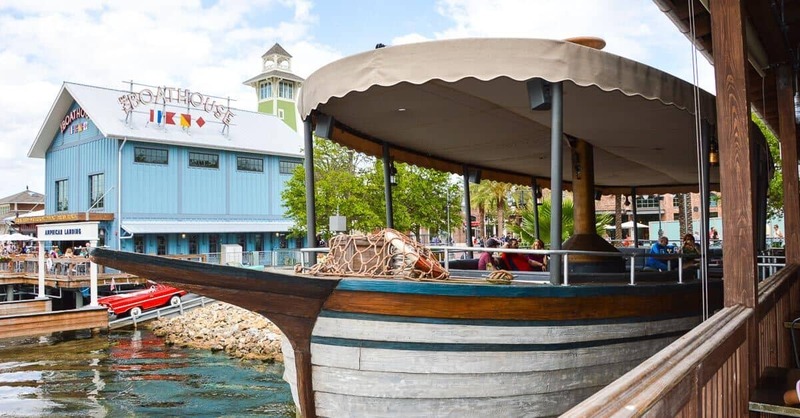 The atmosphere at this restaurant in Disney Springs is upscale nautical, yet easy-going, and the service has always been exceptional. We’ve often been seated well in advance of our reservation time, so it’s worth checking if you’re hungry before your appointed dining time. And the food is fantastic! We’d return for the mac ‘n cheese alone (although be careful, it has a kick to it!). Plus it’s always fun checking out the vintage boats on display outside the restaurant, not to mention watching guests tour the lagoon in amphicars.